In my opinion, First District Judge Virginia L. Carpenter rendered me indigent by not doing her due diligence in my case. She barred me from seeing my wife of 35 years for six months, though Marlien repeatedly told her the charges against me were false. She and the prosecutor pushed me to plead guilty to something I did not do (harassment) because I was afraid to go back to jail and be beaten up again. Based on false testimony, which witnesses would have denied, Judge Carpenter kicked me out of my expensive apartment for six months, forcing me to use all my money to find a place to live. One night my car was stolen while I stayed in a mid-town motel. I had no money for lawyers, and make too much for a public defender. Lawyers often recommend defendants plead guilty even though they were innocent. In my case, it was particularly unfair that I should be pressed to plead guilty. I have suffered from Post Traumatic Defense Syndrome for ten years, which is now headed to early onset dementia, possibly because of the jail beatings I suffered. I believe I deserve a new trial. I am innocent. I have witnesses who will declare the prosecution’s case phony. I also believe I deserve a new trial because the terms dictated by Judge Carpenter have been violated by the probation department. Though alcohol was not a factor in my case, probation wants to bar me from drinking. Judge Carpenter withdrew an earlier order barring me from drinking and told the court I could resume drinking. Frequent alcohol tests indicated I do not have an alcohol problem. Who runs the court? In my opinion, First District Colorado Judge Virginia L. Carpenter rendered me indigent by not doing her due diligence.doing herdue diligence. told her the charges against me were false. because I was afraid to back to jail and be beaten up again. o live. One night my car was stolen while I stayed in a mid-town motel. I had no money for lawyers, and make too much for a public defender. onset dementia, possibly because of the jail beatings I suffered. “Guilty Pleas in Federal Criminal Cases: Frequently Asked Questions"
"With that said, in this article we will explain some of the basic elements of federal plea bargaining, and what happens during a guilty plea,” says . 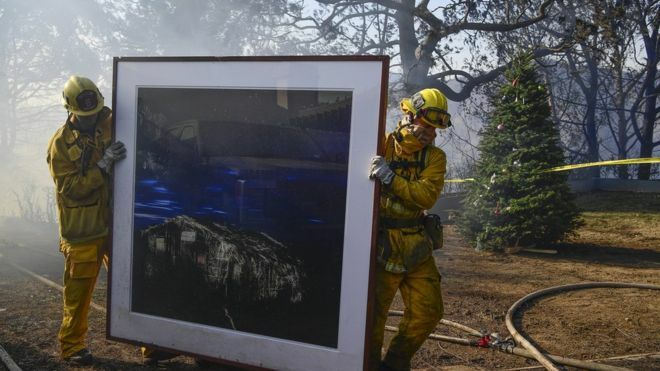 Tens of thousands of Californians fled their homes as wildfires burned a hundred thousand acres driven by hurricane-force winds as Christmas approached. Around the world, from Europe to Asia, climate change, denied by President Donald Trump, wreaked havoc. The National Weather Service reported 92 degrees in Los Angeles, the hottest temperature since record-keeping began in 1877. “The return of powerful winds Thursday pushed the destructive Ventura County fire closer to several communities, prompting new evacuations. “Communities both on the coast and inland were under threat. At 4 a.m., officials closed the 101 Freeway between Routes 126 and 150. According to the California Highway Patrol, that left no open routes between Santa Barbara and Ventura counties. The freeway was reopened around 7 a.m., the Los Angeles Times reported. In Colorado, with the nation’s highest mean elevation of 6,800 feet (2070 meters), kale, spinach and daffodil were sprouting. No measureable snow fell in Mile High Denver in November. Fire crews from Colorado and New Mexico went to the aid of California. Long-time Associated Press Correspondent Mort Rosenblum reports: “Olive trees can’t actually talk (and I’m not yet unhinged), but I learn more from them about what matters in the long term than from that fancy Samsung TV blaring away inside my old stone house. “They tell it straight without sponsors and ratings to worry about, or clueless editors guessing at a distance what their message should be. Having been around since before the Bible was a rough draft, their forte is historical continuum. At least two things about guns worth noting in the past week. 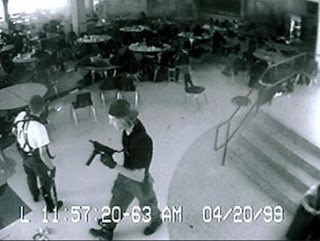 Columbine dropped off the list of top 10 massacres, having already more than achieved the overwhelming copycat status predicted that day. I was there. I remember. Hopes that thousands of concealed carry guns spread throughout the nation would nip massacres in the bud have not panned out. “The day after former Colorado resident Devin Kelley murdered 26 people at a church in Sutherland Springs, Texas, on Nov.5, filmmaker Michael Moore tweeted that the tragedy has pushed the April 20, 1999, massacre at Columbine High School, the subject of his 2002 Oscar-winning documentary Bowling for Columbine, from the list of America's ten worst mass shootings,” Westword of Denver reported. President Trump, with loose lips as usual, said the two men who chased the killer at nearly 100 mph had prevented hundreds from being killed. The church doesn’t even hold hundreds! As is often the case, the killer shot himself before crashing. He had been hit by at least two bullets fired by the civilians. No vigilante could have even gotten close to the Vegas skyscraper shooter. In the past, calls for tighter gun control have been opposed by people who claim the laws already exist. Failure to enforce, they say, is the problem. The latest massacre, in the church, and the one a month earlier in presumably well guarded Las Vegas, suggest law enforcement isn’t the answer either under current laws. “The gunman who killed more than two dozen people in a small church outside San Antonio on Sunday had a string of troubling episodes in recent years, including an escape from a mental health facility in 2012 after he was caught sneaking guns onto an Air Force base ‘attempting to carry out death threats’ against military superiors, according to a police report,” the Washington Post reported. So far, no one is arguing that the answer is for more vigilantes to be involved. As much as the right to carry a gun Americans demand the right to privacy and free speech.